Plogue has updated sforzando to v1.844 for Mac OS X and 1.845 for Windows. 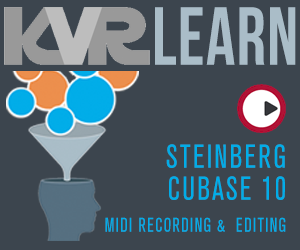 Added Ambience reverb and Detune effects. 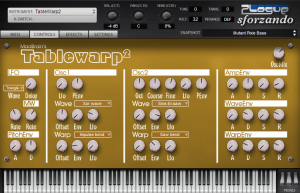 As a part of Plogue's 15th anniversary celebrations, sforzando now comes with MadBrain's TableWarp2, a resurrection of the sounds of the classic 2002 Jeskola Buzz plugin. Users can blend the classic sounds of PWM, FM, subtractive and phase distortion by selecting a base wavetable and then warping it using a warp table. 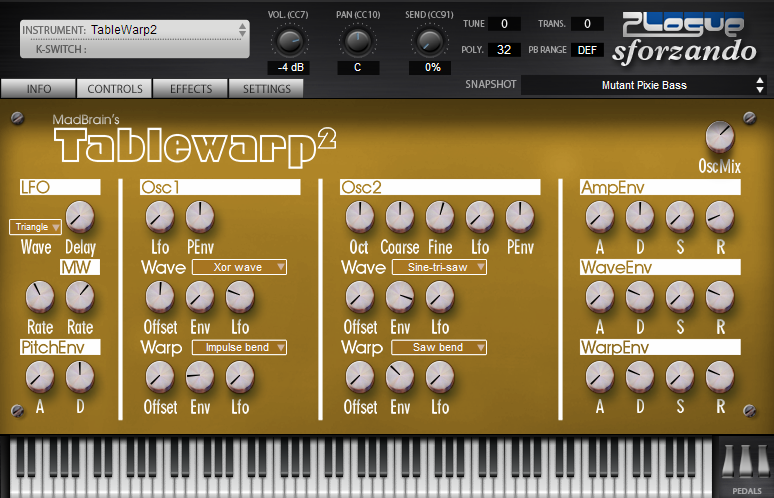 TableWarp2 is now part of the sforzando installer package, which can found on Plogue's downloads page. Here is a demo song using exclusively TableWarp2 patches and new sforzando effects, made by MadBrain himself.